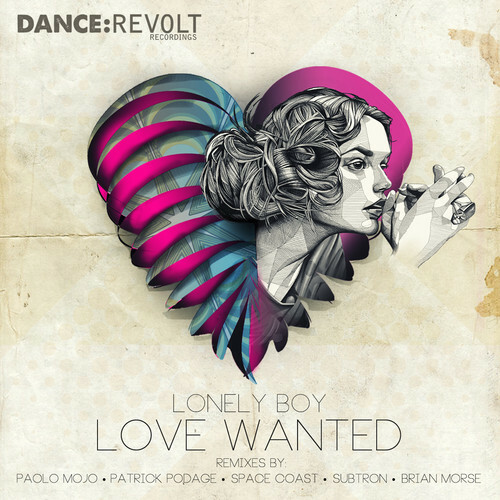 Dance:Revolt impressed us hugely last summer with their debut release from label boss Atnarko. Flash forward to April 8th 2013, and they're back with their second offering. We are delighted to announce that our minds have once again been truly blown by the music contained here. Quality over quantity is clearly going to be the watchword for this label, and with only two releases in the bag, it's already paying off. The original track is a lovingly produced, retro-tinged, smooth and sultry number, with an irresistibly plaintive vocal hook. From even the most cursory first listen, it's obvious that each remix has been carefully chosen by the label, making this one of the most balanced musical packages we've received in a very long time. There's truly a version for every occasion here, and all the artists have clearly been inspired to do their best work. Standouts for us are the fragile and beautiful yet powerful Space Coast remix, as well as the driving yet deep Subtron version. Love Wanted is released on April 8th - we suggest you go and buy it!